Ever since google updated their Google Map API into version 3 (probably around 2010), output generation sample code in page 463 on MapServer Documentation, Release 6.4.1 were not working anymore, and it had been frustrated me. 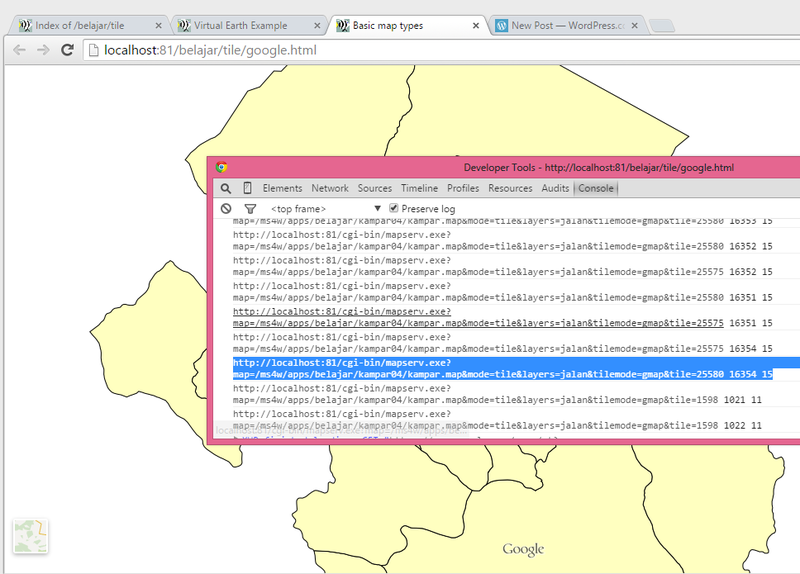 I love that image tiling approach which will save tons of bandwidth and processing time for my MapServer. Tonight, I manage to playing around and looking for sample code that google provided here. p.s: change http://localhost:81 and the rest of URL into your MapServer’s map file.